Happy New Year! 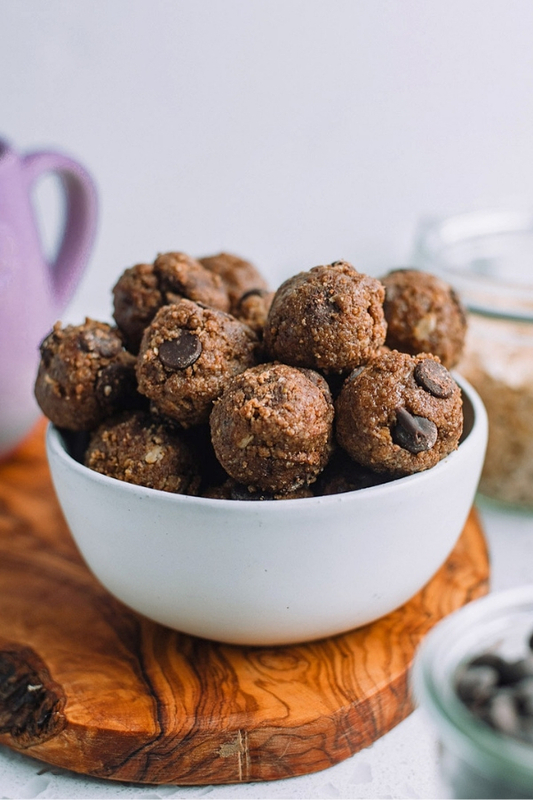 Let’s start the year off right with a simple but energy packed snack/treat with Almond Butter Chocolate Chip Energy Bites. Energy bites are great for munching in between meals to either satisfy that sweet tooth or feel full longer. 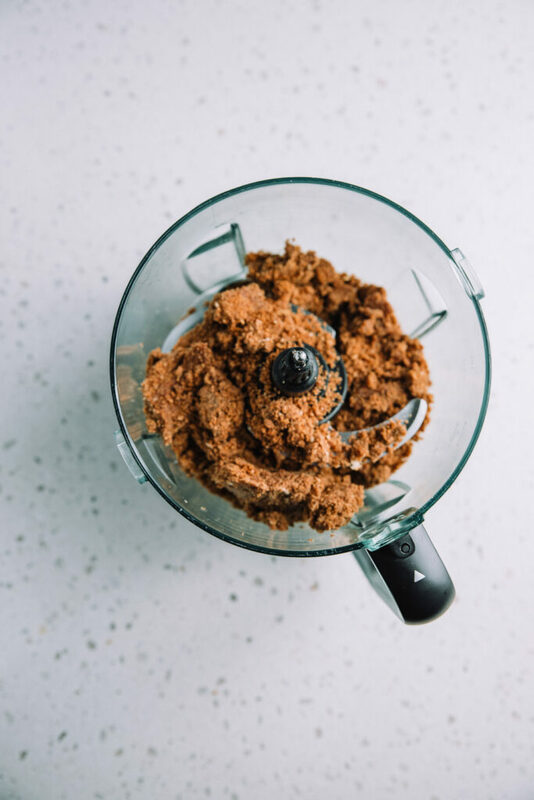 The key is nutritious ingredients like ground flax seeds which is full of fiber, omega 3 fatty acids, protein, and phosphorous, and antioxidants. There are so many combinations for making energy bites. Check out my previous recipe for 5 Ingredient On the Go Energy Bites. 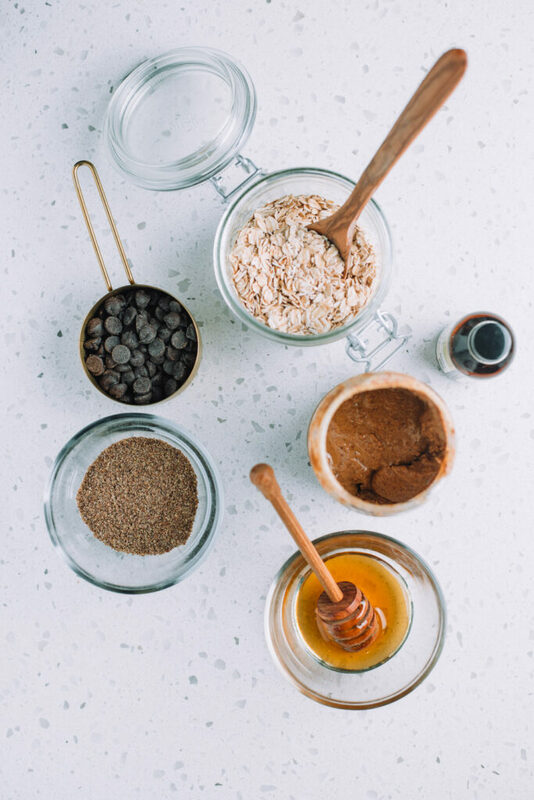 It’s important to note that regular flax seeds or any other nut butter will work as well! Making this delicious snack requires a blender or food processor (preferably a food processor). Mix all off the ingredients except for the chocolate chips in the blender or food processesor for up to 30 seconds. If using a blender it may take longer. The texture should be smooth and thick. Over mixing or using a less powerful blender could possibly cause your mixture to harden. If this happens add more honey to act as an binder. Once finished add your chocolate chips. Using your hands mold into small sized round balls. Place on baking sheet and let sit in fridge for at least 20 minutes and enjoy. What if you don’t have a blender or food processor? Don’t worry! A blender or food processor is helpful but in the case you do not have one please feel free to skip it all together. Instead, add all of the ingredients (including the chocolate chips) to a large bowl and combine with a spoon or spatula. Form the small energy bites with your hands and enjoy!